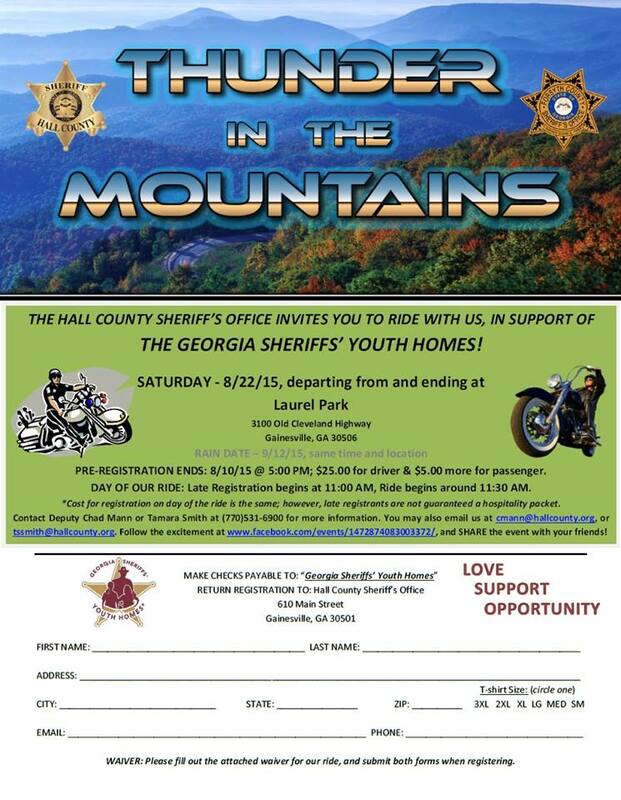 08aug11:30 am1:00 pmThunder In The MountainsThe Georgia Sheriffs' Youth Homes! The Georgia Sheriff’s Youth homes! Departing from and ending at Laurel Park. Pre-Registration Ends: 8/10/15 @ 5:00PM; $25.00 for driver & $5.00 more for passenger. Day Of Our Ride: Late Registration Begins at 11:00AM, Ride begins around 11:30AM. *Cost for registration on day of the ride is the same; however, late registrants are not guaranteed a hospitality packet.